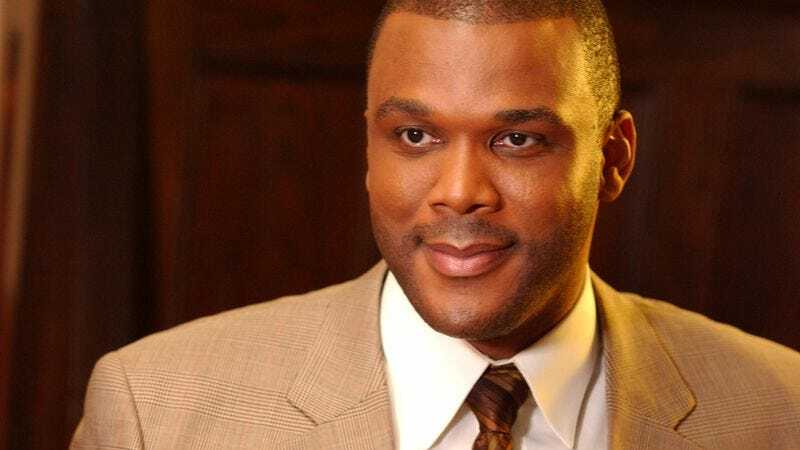 In a decision that could have dramatic ramifications for bracelets everywhere, Tyler Perry has won a trademark battle over the phrase “What Would Jesus Do”—a rhetorical question that is now more accurately Tyler Perry’s What Would Jesus Do. While the origins of the English phrase’s popular usage can be traced to an 1896 book by minister Charles Sheldon, spreading like catchy, evangelical wildfire a century later across sermons and accessories in the 1990s, it apparently wasn’t until 2008 that someone thought to register this soul-searching moral imperative as a mark for entertainment. Or rather, two someones, as it seems Tyler Perry filed the phrase a few months after Kimberley Kearney, “Poprah” of the reality show I Want To Work For Diddy, sparking a war for the right to spread Jesus’ word, with all attendant royalties therein. In Kearney’s case, her zeal for working for Jesus was nearly matched by her enthusiasm for working for Diddy, as she hoped to use the title What Would Jesus Do for a reality series that would show audiences “how Christians should really live.” Kearney says she pitched the show to Tyler Perry Studios, only to have Tyler Perry—as with all intellectual property, flora, and fauna—attempt to put Tyler Perry’s name on it. Four months later, Tyler Perry’s own bid to register “What Would Jesus Do,” clashed with Kearney’s trademark, forcing Tyler Perry to ask Tyler Perry, “Tyler Perry’s What Would Jesus Do, Tyler Perry?” And, after some deep contemplation in His garden of lawyers, Jesus said He would demand the U.S. Patent Office cancel Kearney’s registration, on the grounds that she clearly wasn’t using it. What Jesus would not do is allow his trademark to lapse. As The Hollywood Reporter notes, with “What Would Jesus Do” now firmly written in the Book Of Tyler Perry’s Life, the burden is now on Tyler Perry to use it for something—for example, as the title of a romantic comedy about a woman whose bad luck with relationships is turned around with the help of her sassy friend, Jesus. Quite graciously, Tyler Perry’s registration also “included a disclaimer that he wasn’t attempting ownership on the exclusive right to use ‘Jesus’ apart from ‘What Would Jesus Do,’” meaning you don’t have to pray to Tyler Perry’s Jesus for forgiveness. At least, not yet.